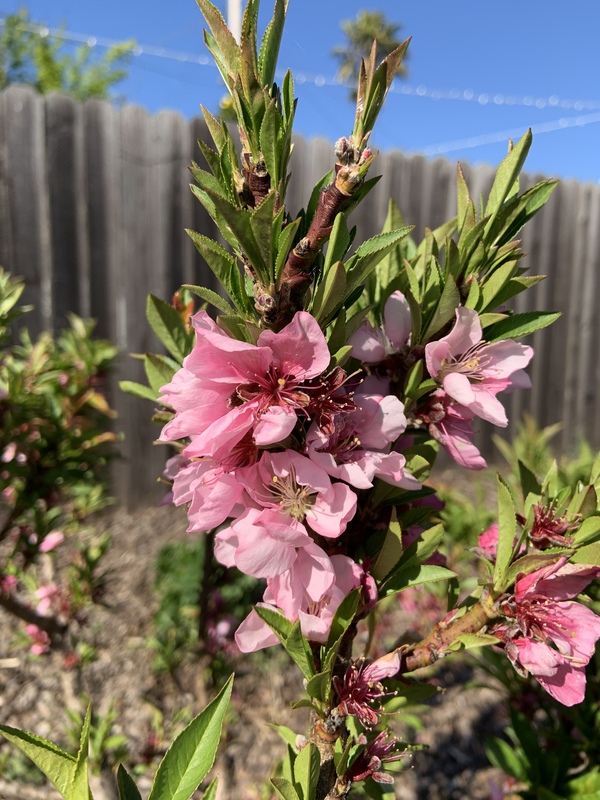 The peach tree we planted last year is now in full bloom and we are so excited for the promise of peaches to come! We got about a dozen fruit from this tiny tree last year, and we are hoping to be inundated this summer. Mama and I soaked up the afternoon sun and listened to Eva Cassidy while I did a bit of gardening in our front yard. Since it was mostly pruning and weeding, the peach flowers were the highlight. Today’s #OneGoodThing was enjoying the beautiful peach blossoms with Mama. What was your #OneGoodThing today? Please share in the comments! Day 89 of 365. And Day 1,185 in a row (here’s the first 366, & the following 365, & the third year of 365 good things)!